BELOW IS AN extract from The Ascent: Sean Kelly, Stephen Roche and the Rise of Irish cycling’s golden generation by Barry Ryan. For first half of the 20th century, Irish cycling was a largely domestic affair, despite the exploits of Harry Reynolds, the so-called ‘Balbriggan Flyer’, who won the sprint at the Track World Championships in Copenhagen in 1896. Grass track racing was the most popular discipline, and relatively few Irish riders ventured to compete internationally on the road. At first overseen by the GAA, cycling fell under the remit of the newly founded National Athletics and Cycling Association (NACA) on the establishment of the Irish Free State in 1922, before governance was divested to the National Cycling Association (NCA) in 1938. Long after leaving the GAA umbrella, grasstrack cycling and athletics meets continued to be held in tandem with hurling and Gaelic football games around the country. Despite the partition of Ireland in 1922, cycling was organised on a 32-county basis, and seemed to operate in something of a vacuum, far removed from the sport’s heartland in mainland Europe. For almost half a century, the Union Cycliste Internationale (UCI) saw no need to concern itself with the Irish question, even when a separate Northern Irish federation, which operated under the auspices of the British National Cyclists’ Union (BNCU), was set up in 1928. The status quo was disrupted at the UCI congress in 1947, however, when the BNCU, in anticipation of the following year’s Republic of Ireland Act, proposed the NCA restrict its jurisdiction to the 26 counties south of the border. The motion was carried, and the NCA was expelled from the UCI and excluded from international competition. Two years later, a group of primarily Dublin-based clubs broke away from the NCA to establish a new, 26-county body called the Cumann Rothaíochta na hÉireann (CRE), which was granted international recognition by the UCI at the urging of the BNCU. Despite the brisk progress of the CRE, the NCA had no intention of retreating quietly into the background, far less ceasing operations altogether. With its riders unable to compete internationally, it compensated by establishing an ambitious national tour, the Rás Tailteann, in 1953. The driving force behind the Rás and the NCA was the staunchly republican Joe Christle, a protagonist of the IRA’s Border Campaign of 1956–62, and consequently both the race and federation espoused an avowedly nationalist ethos, a contrast with the apolitical CRE. Even so, joining the NCA or CRE was largely a matter of chance rather than any overt ideological leanings: in rural Ireland, NCA clubs were simply more common, whereas the CRE was the dominant force in Dublin. At official level, however, there was considerable enmity between the two bodies, with the NCA regularly looking to disrupt CRE events in the 1950s. ‘They were very violent in some of their methods: cutting down trees during the Coast to Coast, setting fire to the road or putting down tacks and changing arrows on the road, all that kind of stuff,’ the late Christy Kimmage, a CRE rider, recalled in 2014. In 1955, the NCA registered its opposition to the CRE at international level by sending a team to the World Championships in Frascati, much like the Munich Olympics 17 years later. In 1959, meanwhile, NCA men were widely suspected of the bombing of the newly installed track at Morton Stadium, on the eve of the inaugural, CRE-organised event, which featured Fausto Coppi and Shay Elliott, Ireland’s first Continental professional. Elliott is labelled nowadays as a pioneer, but in the early 1970s he was an historical aberration. While back home Irish cycling seemed unable to awake from a dreary, repeated nightmare of Civil War politics, Elliott operated in a different realm on the Continent. His story had no precedent in Irish cycling. In 1954, he had won the King of the Mountains prize at the CRE-organised Tour of Ireland, and his prize was to attend a training camp in Monte Carlo for Europe’s top amateur riders the following spring. After a spell with the ACBB club in Paris, he turned professional in 1956 with the Helyett team, thus beginning a 12-year career. Elliott became the first non-Belgian winner of the Omloop Het Volk classic in 1959, after which he won a stage of the Giro d’Italia in 1960, and then led the Vuelta a España for nine days in 1962, eventually placing third overall. In 1963, he soloed to stage victory in the Tour de France at Roubaix, and wore the yellow jersey for three days. At the velodrome in Roubaix, the band was so unprepared for an Irish victor that they played ‘God Save the Queen’ in lieu of ‘Amhrán na bhFiann’. A year earlier, Elliott had missed out on hearing his national anthem in rather more contentious circumstances, when he was in the winning break of four at the World Championships in Salò in the company of his trade teammate Jean Stablinski of France. ‘Stab’ was Elliott’s closest friend in cycling and godfather to his son Pascal, but that apparently did not prevent him paying the other members of the move to chase down the Irishman’s late attack. Stablinski slipped away to win the rainbow jersey, and Elliott had to settle for the silver medal. The peloton was a cutthroat kind of a place, and one contemporary, Jean Bobet, later maintained Elliott was penalised by his decency. ‘Loyalty and naïvety prevented him from fulfilling his true potential,’ Bobet said, quoted in Graham Healy’s 2011 biography of Elliot. Even so, Elliott had the strength of personality to survive more than a decade in the peloton, riding as a trusted lieutenant of five-time Tour winner Jacques Anquetil, and later in the service of his rival, Raymond Poulidor. Those nights in Morton Stadium in 1959 aside, when the crowds cheered him even more heartily than they did Coppi, Elliott’s gifts were never properly appreciated in his home country, at least outside the small, cloven cycling community. After cycling, he would know only sadness. His foray into the hotel business in Loctudy, Brittany failed, and he had separated from his wife Marguerite even before the Hotel d’Irlande shut its doors. Elliott returned to Ireland alone. He died from a self-inflicted gunshot wound on 4 May 1971, in the living quarters above his panel-beating business in Dublin. He was 36 years old. 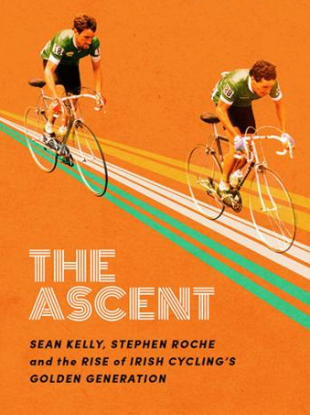 The Ascent: Sean Kelly, Stephen Roche and the Rise of Irish cycling’s golden generation by Barry Ryan is published by Gill Books. More info here. Email “'The band was so unprepared for an Irish victor that they played God Save the Queen'”. Feedback on “'The band was so unprepared for an Irish victor that they played God Save the Queen'”.